Philippe Villiers de L’Isle Adam receiving the symbolic keys of Mdina by Antoine de Favray. Contrary to what is generally thought, the Knights of St John were not keen to set up their base in Malta, the barren and isolated southernmost outpost of Europe. The granting of Malta to the homeless Knights of St John in 1530 was a long-protracted issue. During this Flimkien għal Ambjent Aħjar lecture, Vincent Zammit will follow the Order’s odyssey after their loss of Rhodes and their final acceptance of Malta in 1530. 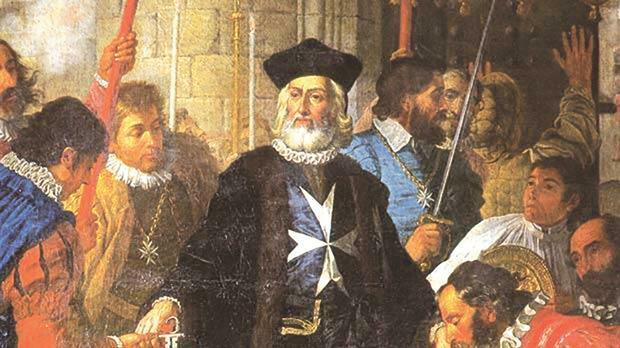 Those attending will hear about the various issues that cropped up, until Grand Master L’Isle Adam finally arrived in Malta, in October 1530, taking official possession of Mdina in November and thus initiating the Order’s 268-year rule in Malta. The talk will be held tomorrow at 6.30pm at the Hotel Phoenicia, Floriana. Patrons are requested to be seated by 6.15pm. For booking, visit https://culturemalta.org .